Just few years ago, feeding prematurely born babies took a long time before it was started. During the first few days from birth, baby was made to starve. There was no strict guideline when to start feeding them. It usually depended on the assessment of the attending doctor if he thought the baby was safe and ready to start. Thus, some would take days, others weeks. Consequently it was observed that delayed initiation of feeding led to difficulty of babies tolerating feeding and prolonged transition to full feeds (meaning, baby is fed entirely with milk and no supplemental intravenous/parenteral fluid). Intravenous/parenteral nutrition was maintained for a longer time to provide additional caloric and nutritional requirements of the baby. Since the intravenous fluid had to be kept for a longer time, sometimes taking weeks, this now became a portal of entry for infection. If the baby was on central lines (eg, umbilical venous lines), the worse intravenous line-related infections was, and the offending organism was harder to treat because these microbes were already resistant to most anti-microbials regularly used in that ICU. These hospital acquired infections posed additional expenses to the family. Regarding intravenous fluid/parenteral feeding, there was a time when incorporation of amino acid was delayed, taking days. Thus baby was initially thriving on dextrose. It was also initially given at a low dose (0.5g/kg/day or 1 g/kg/day) then gradually increased (by 0.5g/kg/day) as tolerated to a maximum of 3g/kg/day. The disadvantage of this strategy was that, since 50% of the caloric requirement of developing fetus comes from amino acids, if the intravenous fluid was unable to provide the baby’s requirements, he used up the protein that he already synthesized (inside the womb) as other source of calories, which eventually led to elevated levels of creatinine (mistaken as renal insufficiency or failure). Then when serum creatinine determination done on a later date showed abnormal findings: incorporation of amino acid was thus withheld or decreased and adjustment of antibiotics to renal dose was done until the creatinine returned to normal levels. This was for fear of having renal problem that might be aggravated by incorporation of (high dose of) protein. This further delayed the progression of amino acid incorporation to the maximum dose. Unfortunately, this feeding technique led prematures to become malnourished after birth. (As a rule, the baby usually lose weight immediately after birth, then regains his birth weight by the end of 2 weeks.) 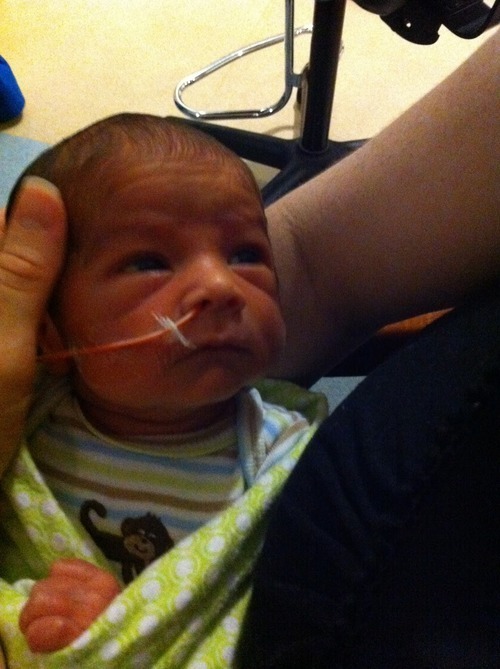 Preterm babies who were fed in this manner took longer time to regain their birth weight. Then, when these preterm babies were already able to achieve full feeds, as they were malnourished, the care provider’s tendency was to feed them aggressively to catch up and achieve their expected weight for age. Unfortunately, if genetic programming has already occurred during the malnutrition state, and then they were all of a sudden fed aggressively, this made the babies go haywire and eventually ended up with metabolic syndrome during adult life. Latest studies have highlighted the necessity to feed the baby aggressively, starting immediately after birth. When it comes to oral feeding, within first few hours after birth, minimal enteral feeding should be commenced as long as baby has been stabilized from his respiratory distress. Again there is no strict guideline how to carry out this. Some of my textbook authors say start as early as eight hours after birth. Personally, I do it at sixth hour after birth. As to the volume, again, there is no strict guideline. Some of our foreign counterparts give 1 mL. What I do is compute it first at 20 mL/kg/day, then divide it by the number of times I will expect to feed the baby. (For example, the baby is between 1-1.2 kg, I usually feed this population every 2 hours, thus that will be 12x/24 hours; for babies who are less than 1 kg, I usually feed them every 1.5 hours or that would be 16x in 24 hours). Then, for example the computed volume is 1.2 mL, then I first give the milk every six hours on the first 24 hours. The purpose of this minimal enteral feeding/nutrition is to prime and stimulate the baby’s gut. This maneuver enables the stomach to release hormones and enzyme that will facilitate peristalsis of the intestines and gastric emptying time (a protective mechanism against infectious agents that might have been swallowed). The safest as it seems is to increase the feeds by 10 to 20 mL/kg/day. I usually give it at increments of 20 mL/kg/day. But first, what I do is increase the frequency until I will be able to reach the usual frequency I assigned according to their birth weight. So on 2nd day, from every 6 hours, I make it first every 4 hours. On the 3rd day, I increase it to every 2 hours/1.5 hours. After achieving the desired frequency, then that is when I increase the volume daily now by 20 mL/kg/day. As I increase the volume of feeding, I start to decrease the intravenous fluid that I infuse. 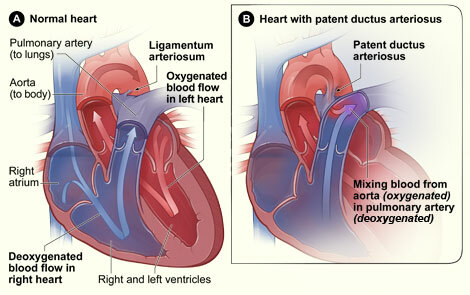 (This is to prevent fluid overloading that will might open up the ductus arteriosus, that will impose another problem to the baby’s lungs, especially bronchopulmonary dysplasia). On the average, when the baby is able to tolerate 100 mL/kg/day of milk feedings, I already discontinue intravenous fluid. Usually, this is achieved by 7th day of life. So in general, most of my preterm babies are already free of IVF at 7th day of life. Certainly, in the first few days of the preterm baby’s life, breastmilk is the ideal food to give as it also contains antibodies that the baby will need to combat infection. However, admittedly, even as a breastfeeding advocate, pure breast milk feeding beyond the second week of life will not be able to sustain growth of the baby, and baby may again end up malnourished. We will need to FORTIFY the breastmilk for additional calories and electrolytes, and thus sustain baby’s caloric requirements for promote growth. As far as the intravenous or parenteral fluid, newer data supports that protein incorporation should be started at 3 g/kg/day. Then if the baby is more premature, then you may increase it further to 4 g/kg/day. This strategy, together with aggressive oral feeding has precluded severe postnatal malnutrition, an earlier time to return to birthweight and faster weight gain, faster transition to full feeds and thus faster weaning from intravenous fluid. This strategy has decreased the incidence of complications of prolonged intravenous fluid such as thrombophlebitis, blood-borne infections and necrotizing enterocolitis. Overall, babies don’t stay longer in the ICU, which also reduces their exposure to potential harmful microbes inside the NICU, an earlier discharge date and lesser hospital bills for the parents. The potential adverse outcome of this feeding strategy so far is the baby’s tendency to become overweight, but with a preserved and better neurologic status and mental faculty. For now, we remain observant for the long term outcome of this newer feeding strategy among these infants.